Joe Paice is the programming manager at PizzaExpress Jazz Club, named by Downbeat magazine as one of the world’s top jazz club. He is also (with less frequency in recent years) a singer/songwriter and pianist. 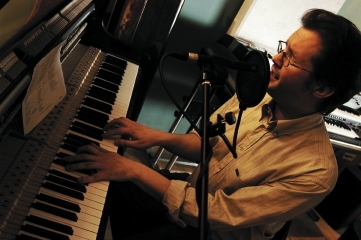 He worked with fellow Jazz London Radio presenter, Chris Hodgkins, at Jazz Services, and has also managed international jazz projects for the British Council, ESIP, London Jazz Festival, Glasgow Jazz Festival, jazzahead! (Germany), Xerox Rochester International Jazz Festival (USA), International Association of Jazz Education (USA), Europe Jazz Network, UK Trade & Investment, Jazz at Lincoln Center (USA), Dubai International Jazz Festival (UAE), and many more.